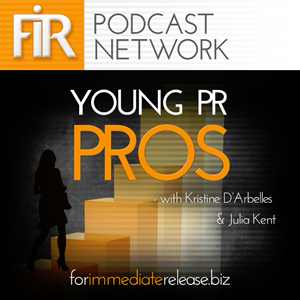 Please join us in welcoming Igloo Software as the latest FIR Podcast Network sponsor. Igloo, which offers a web-based platform for collaborating at work, will join Ragan Communications and CustomScoop as sponsors of The Hobson and Holtz Report. Through the Igloo platform, employees can share files, get (and share) answers, solve problems, locate information and expertise, and tap into the collective knowledge of the company’s customers, partners and peers, from wherever they are. For up to 10 people, Igloo is free, with per-user pricing after that. Gamification, social analytics and other state-of-the-art elements are built into the platform, which can be customized to reflect your organization’s image. 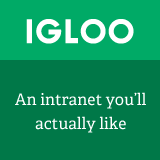 Companies using Igloo’s intranet software include Kimberly-Clark and International Data Corporation. The company is headquartered in Kitchener, Ontario, Canada. 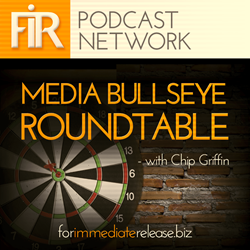 As always, we strive to identify sponsors whose products and services are relevant to the FIR community. We’re confident we’ve achieved that goal with the addition of Igloo to the Hobson and Holtz Report. Please show them your support by checking out the site and seeing what they have to offer.